Answering Muslims: How Could God Punish Jesus for the Sins of Others? I'd like to point out that the susbstituionary theory of atonement is mainly is western christianity and not all christians accept this. This is what you get from a muslim when all those evidence are presented to s/he. You are a liar. No such thing exist in the Quran or Hadith. You're fabricating lie against Allah and his apostle. But when they go through it and se that what you sid is nothing but the truth. The next thing you hear is. All knows all things and Muhammad is his messenger. That is just the miracle of Islam. You know the truth but you still blindly follow lies. Dr David Wood may God bless and keep you and your family as you keep on presenting the truth to the muslims in general. David, you did indeed demonstrate the self contradictory and incoherent nature of the Qur’an on the subject of forgiveness. You only made a series of non-sequitur, ad hoc assertions, based on argument from authority and begging the question that only a sinless killed living godman can take on the sins of others and the bible says Jesus was sinless so Jesus was sinless and thus forgave us by living though his own torturous death. When we put a dog to sleep that is, of course, a euphemism for killing the dog. When we kill a god that is, apparently, a euphemism for putting the god to sleep. So, the very notion that Jesus, a divine being, a part of the trinity, who lived before, during, and after his life on Earth, for all eternity by Christian doctrine, could die at all…well, that notion is simply nonsensical. The assertion that anybody, sinless or not, can bear the sin of another is incoherent. It is scapegoating. A sinless scapegoat fails to alleviate the sinner of wrongdoing just as much as one who is himself guilty of other wrongs. Sorry David, but the rational objections, about the incoherence of god sacrificing by being tortuously killed so he could bear our sins and then forgive us, stand unanswered by you. But thank you for your work in exposing the incoherence of the Muslim position; you are very good at that! Thanks David for presenting comparative study the Quran and the Bible side by side to find “The Spirit of Islam vs. the Spirit of Christ” to believe true path that leads to kingdom of HEAVEN. Any Muslim’s comment to defend Islam would be appreciated. For those who have eyes to see, let them see, and for those who have ears to hear, let them hear. But for our Muslim brothers and sisters it is true as it is written in Mark 8:18 “HAVING EYES, DO YOU NOT SEE? AND HAVING EARS, DO YOU NOT HEAR? And do you not remember,” What did Muhammad do for you and people of the World, other than opening flooding gate of killing innocent people? According to the Bible and in real life we find our God is Righteous and at the same time He is Kind and Merciful. Penalty for sin is death, according to God’s law. Jesus took that punishment in the CROSS for everybody else, to save us from burning in Hell fire. There are many examples in Christianity to give life of a friend for other friends. How do Muslims proof their Allah’s kind and merciful for mankind when their Allah ordered them to kill innocent people? In Islam there is no such word “sacrifice for many”. That is why people of the world do not find any Muslim who dies for others. Rather world finds Muslim kills many for Muhammad and his Allah in broad day light even for a simple cartoon. And Muslim like Nolan Aubuchon could not understand meaning of sacrificing lamb as it appeared to Abraham for sacrificing his son Isaac (Muslims believe Ishmael). Muhammad too had difficult to understand the word “atonement” and true nature of God. Because he was from this world, unlike Jesus Who was from above John 1:1. In Quran Muhammad denied Jesus’ sacrificial death at the Cross, thus denied true love of God for mankind to save us from Hell fire. Message of Quran is just opposite of the Bible like Dark differs from Light. What could we expect from Dark of the world?? May Almighty God open eyes and ears of 1 billion Muslims of the World and save them from Hell fire with blood of Jesus Christ! Amen. Really? Is that why the New Testament uses the Greek word "huper" which means "for" or "in place of"? The earliest Christian creed and explanation of the Gospel states "Christ died for [huper; Greek] our sins according to the Scriptures" (1 Cor 15:3-4). Anyone who denies this essential part of the Gospel is preaching and teaching '"another Gospel" and is under the anathema of God (Gal 1:6-9) and is therefore not a genuine Christian. The Old Testament sacrifices and the Day of Atonement all clearly teach substitutionary atonement (Lev 16) which ultimately points to Christ's perfect sacrifice. Hey what's up Doc. You are on a roll for the Lord. It is always a blessing to read your well articulated and researched writings. God bless you all. "There are devastating responses to the most common Muslim objections and I'm convinced that if Christians would simply take the time to learn them, it would change the world." David Wood hit the nail right on the head! Perfect explanation. Nolan Aubuchon,please can you explain what you mean by ' susbstituionary theory of atonement is mainly is western christianity and not all christians accept this. 'cause am an African and I believe that Jesus died in my place and that all I need to do is to accept His payment, repent of my sins and place my trust in him. Is this what you term SUBSTITUTIONARY? The FALSE PAGANISM OCCULT-IDEOLOGY of islam is NOT a religion!! The FALSE PAGAN moon god allah-satan is NOT a god, it is just one of 360 FALSE PAGANISM OCCULT-IDEOLOGY gods that came out of the middle east!! The FALSE prophet muhammad is NOT a prophet!! YESHUA-JESUS CHRIST DIED on the CROSS for all our SINS!! YESHUA-JESUS CHRIST is GOD in the Flesh!! Our True GOD CREATED the HEAVENS ( UNIVERSE ) and the EARTH, HE CREATED us in HIS own IMAGE, HE LOVES Ye All Everyone Forever through HIS SON YESHUA-JESUS CHRIST!! Only THESE THREE are HOLY / RIGHTEOUS / WORTHY / PEACEFUL and LOVING - GOD the FATHER who art in HEAVEN, GOD the SON YESHUA-JESUS CHRIST, GOD the HOLY GHOST ( HOLY SPIRIT ) THESE THREE are ONE!! You rational question have lot of weight and it is so important to have souls searching questions. At some point of time, I also struggled with this kind of questions. Let me share my experience with you with an example. I am assuming that you don’t believe that we humans are just a lump of worthless cells (From David Wood :) ) or a product of Matter + Time + Chance. Having said that, let’s move forward. For the sake of this conversation let’s forget Jesus, sins, his sacrifice, Christianity and just focus on our normal human life and rational mind. 1. He/ She is returning a favor. 2. He/ She want something from you in return. 3. Or He/ She simply want to help you because they like you or love you. Only in the third reason, you can find that because there is no giveback, while helping you they are sacrificing something or the other, there time, money, efforts etc. Now with the rational mind, what would you do? First you will try to understand their reasoning behind this act of helping you, then if you don’t find the above mentioned 1 & 2, then you would thank him/ her, you will be filled with gratitude, you will tell about this incident to others. Now if you notice closely, to demonstrate his/ her love for you he / she have sacrificed something. Now depending upon the level of love the level of sacrifice changes (Time, Money, Family, Relations, Job). I hope you can agree with me nothing can be bigger sacrifice then giving up your own life for someone. And that’s how God did not just loved us verbally or through miracles only but actually gave the biggest sacrifice possible for our rational mind. "You can give with loving, but you cannot love without giving." Also you would agree that no one will give his/ her life unless he /she loves you. When the scriptures says that he took our sins upon him, you can verify this fact that among all the world views, among all the God options only Christ is the one who said, “I forgive your sins”. With this base of love and sacrifice, you can go in more theological details to pursue the answer of your question. I would recommend you to read/listen to C.S. Lewis and Dr. Ravi Zacharias but more than that listen to your own soul and if you want to seek truly ask God to reveal it to you. I am an atheist, so your citations of scripture have no authority or evidentiary value in my view, but thank you for taking the time to do something you consider to be positive and loving in my regard. Why would you make that assumption? I would not choose those words exactly, but yes, that is the general thrust of my view. Humans have no absolute worth. We each feel a sense of worth, which is an artifact of our evolved physiology. Since I think determinism is the case I would not use the word “chance” in the sense of “intrinsically random”, but yes, we are the product of the stuff of existence having chaotically interacted over time. God gave his life? How does an eternal immortal being give his life? God was alive before, during, and after this supposed sacrifice by your lights. By the Christian account god was just play acting, faking a death for dramatic effect, which is no sacrifice at all. Why is a human sacrifice necessary? Other religions and individuals simply forgive. Why must a man be tortured to death? Human sacrifice as atonement is the thinking of primitive savages. How can person X take on the sins of person Y? If person Y does something wrong then that fact remains irrespective of anybody else. Scapegoating is another hallmark of the primitive mind. 1. Christianity is incoherent because an immortal god cannot die. 2. Christianity is incoherent because Jesus’s mock death was no sacrifice for the almighty. 3. Christianity is incoherent because wrongdoing is inherently non-transferable. 4. Christianity is grotesquely primitive because it celebrates human torture and human sacrifice for atonement. I am aware of C.S. Lewis and Dr. Ravi Zacharias. They fail to make sense of the Easter story and all the other incoherent and baseless assertions of Christianity. Soul is immortal for believers/non-believers. Death here in your 1st statement is not physical death; it is spiritual death, meaning separation from God Who is totally holy. We find Jesus at one point on the cross cried out like us, asking why God forsaken Him. It indicates to me He had no communication for time being with Holy God the Father because of receiving sinfulness of human characters. Please correct me if my perception is wrong. Life is full of mystery. As Einstein said what we see is relative, nothing absolute. We have no knowledge of spiritual science which could explain how Jesus took sins from my heart. Thanks God Who cares about individual’s total faith on Him and loving Him with our whole heart, mind and souls. It is encouraging to know for sense of life among all non-sense of life: “For the wages of sin is death, but the gift of God is eternal life in Christ Jesus our Lord. Romans 6:23. Wonderful video. Very informative. More please. The best video yet. David one thing ive noticed browsing through muslim commentary online is that many of them demand to be looked and treated as humans. I agree, but does islam view nonbeleivers as fellow humans with equal rights? Can you make a video in the islamic view of the kaffir? I think it would be a bit pretentious or presumptuous to “correct” you or call your perception “wrong” in something concerning the supposed experiences of the vaunted almighty. I mean, what mere mortal may presume to know the mind of god? But, coming back to Earth, Serving Lord asserted that god died, which is an incoherent notion if one begins by asserting the immortal nature of god. That is simply self-contradictory. Your attempt to address this by saying the divine one, the perfect one, the son of god, the son of man, god incarnate, the immortal one, the miracle worker, the one of the trinity…this guy had a spiritual death? Sorry, Nojmul Huda, that is just as incoherent and self-contradictory as what Serving Lord said. “We have no knowledge of spiritual science which could explain how Jesus took sins from my heart.” Well, OK, at least that is an honest admission that the assertion of vicarious redemption, scapegoating, or transfer of wrongdoing…makes no sense and cannot be explained. Stardusty, sounds like you are thinking of death in atheistic terms, so that you are conflating death with "disappearing". Your unstated premise is that when humans die they are "disappeared". Think of death as separation of soul from body and then it will make logical sense to you even if you don't agree with the premise of life after death. It's not incoherent when you share the same premises. You might find the works of Rene Girard re scapegoating and mimetic desire interesting. I could dig up an article or two if you are interested. Let me attempt to answer the points you brought up. 1. Christianity is incoherent because an immortal god cannot die." And you are correct in saying that... If you believe in the spiritual aspect of humanity, at the moment of our death only three physical experiences the throes of death, the spirit/soul passes to another dimension of existence..... So Christ's human existence in the person if Jesus experienced physical death, however the second person of the Trinity simply left the body of Jesus.... Death of God does not mean the cessation of life of the divine immortal God, but simply a separation from the mortal. "2. Christianity is incoherent because Jesus’s mock death was no sacrifice for the almighty." The rejection of Christ's sacrifice is certainly your prerogative, at the same time, your arrogance to assume that you should happen to know everything there is to know about how sacrifices work. "3. Christianity is incoherent because wrongdoing is inherently non-transferable. " Would it be coherent if God were to demand payment of every single sin you commit from you? .... sure that is justice. Would it be coherent if God were to forgive sins "magically"? .... Sure, but would it be just? If sin constitutes separation from a Holy yet loving God, would that God not figure out a way of maintaining both his justice and Holiness? Let me give you an analogy to prove my point. Your seven year old child is playing street hockey, and he sees an opportune moment to score a goal, so he uses his might and skill to shoot the winning goal. But alas he misses and the ball goes hurling through the air into the neighbor's window shattering the pane. Do you demand that your child get a job to pay for the repairs or do you take it upon yourself to incur the losses of the restoration? Yes you should expect your child to be remorseful and have some consequences but you would never demand that he pay for the damage done. That is what a loving parent would do. Similarly what parent would not put themselves in harm's way to protect their child, heck even animals sacrifice their lives to protect their own. It may seem incoherent to those who are perishing, but to us whom God's love is apparent, it is called 'Grace'. This concept of forgiveness by Grace is incomprehensible to Muslims, because Allah is their master, and they are slaves. Which slave owner has ever given his own life to save the life of his property.... His slave? For Christians it makes perfect sense that God took soon upon himself in the person of Jesus, and pay the price through his own sacrifice. "4. Christianity is grotesquely primitive because it celebrates human torture and human sacrifice for atonement." When a cancer patient is given chemo or radiation therapy, at first glance the symptoms of these treatments seem excruciatingly painful and cruel, yet, for a lay person, acceptance of these procedures are the only option for a chance at survival, even though they know very little of how this painful treatment actually works. Just because you do not fully understand the significance of spiritual matters, does not make it grotesque in any sense of the word. Christ's sacrifice was one that ended all sacrifices, primitive rituals and those to come. However what is grotesque is people still adhering to sacrifices of sheep and goats, as Muslims do every Eid-ul-adha. Most of these ideas begin with acceptance of a divine being, but for you to first reject the idea of a God, and then expect matters pertaining solely to the realm of spirituality, to suddenly become coherent to you is not only ludicrous but downright arrogant. A cobbler has no business telling a software designer that his methods of creating programs by random numbers is incoherent..... Is it? Of course they would be..... But only to those like him who lack proper education and knowledge of it. Ok, so you speculate that somehow god/Jesus shed this temporary body he took on…well, that is not much of a death. That is like me taking off some old clothes and throwing them away. No sacrifice whatsoever. Scapegoating is straight from the OT? Well, Ok, so are a very large number of other grotesque, barbaric, and nonsensical things. What is that supposed to demonstrate in this context? Wrongdoing is inherently non transferable. Scapegoating is an irrational and primitive tendency probably all of us have succumbed to at least to some degree at some point in our lives. For some reason Christians revel in this incoherent attempt to transfer blame as though it somehow made some kind of sense. We all make mistakes and from time to time and then attempt to shift the burden elsewhere. It is a sign of maturity when we cease to make such attempts and own up to the wrongdoing we in fact did. I don’t need a Jesus scapegoat. If I did something wrong, then I was wrong. I will do my best to correct the problem. The fact I did something wrong will never change. I move on with my life. That is what honest and mature people do. Thank you for providing the context of our Christian faith in addressing "@Stardusty Psyche" and when juxtapose with the foundaional-less rambling of the atheist based on one of their "father" Richard Dawkins whose "doctrine" is to ridicule, mock, insult, using dismissive language, to engage the Christian faith! “Death of God does not mean the cessation of life of the divine immortal God, but simply a separation from the mortal” Ok, so god did not really die, he just shed some old clothes…no sacrifice whatsoever. “your arrogance to assume that you should happen to know everything there is to know about how sacrifices work.” Non-answer. Please explain how an immortal god who merely took on a temporary body sacrificed anything at all by shedding that body. “Yes you should expect your child to be remorseful and have some consequences” What kind of parent are you? I mean really, I must question your parental decency here. No, I would not expect my child to feel remorseful or suffer consequences in that situation. There was no intent or negligence on his part. If I set up a hockey goal with a window behind or let my 7 year old play in the street??? WTF?? ?…anyhow, that is my fault, not his. Since it is I and he and the team and the game that resulted in the broken window then we should fix it. No forgiveness or punishment to my child is called for whatsoever. “For Christians it makes perfect sense that God took soon upon himself in the person of Jesus, and pay the price through his own sacrifice.” Yes, I am aware of this. It is a marvel of the segmentation of the human brain that otherwise intelligent and admirable people would subscribe so wholeheartedly to such a bizarre and incoherent concept of scapegoating and calling the supposed death of an immortal god some kind of sacrifice. What utter nonsense. This is the core of Christian incoherence and absurdity. TPaul, you are the quintessentially fallacious Christian. “…A cobbler has no business telling a software designer” Oh please, like you have some kind of higher plane of conceptual capacities…give me a break…and you call me arrogant? I agree with you if death means total destruction of one being. But that is not true as I explained earlier posting. Teaching of living words of living God in the holy Bible tells us that not only Holy God is immortal, but all souls of human being including you and me are immortal whether we are holy or evil spirted. The Bible teaches good people who trust in Jesus Christ and works accordingly live with Jesus eternal life without pain but bad people, non-believers live in hell fire with pain. It proves souls which came from God are immortal. Does it not? We know from the Bible that the spirit that God gave Adam after making him with His own image from the soil, the same spirit we are blowing now in our breath. Am I wrong to believe this principle of life, to find out why I breathe spontaneously without external aid like battery? So as it is written in the Bible that wages of sin is death means separation from God after our physical death and lives in hell. Jesus by story of beggar Lazarus with Abraham in Heaven and rich man in Hell (Luke 16:22) after their death indicated death means not total destruction of individual, it means separation from God. Jesus was holy, innocent, but because He took sins of the world He felt isolated from His Father at one point of His suffering, like we feel when we commit sin. It proved He took sins of all human beings including you and me whether we believe or not. It is like George Washington brought freedom for American people whether we feel it or not. You are wrong in saying that sins are non-transferable. We know from science that sins are transferred genetically. King David before chromosomes were discovered revealed the truth in the Bible that he was born with sins in his mother’s womb. What do you think about transformation of sins? Your atheism does not give a complete sense of human life in this world. Bottom line, “Nothing comes from nothing”. Like any other object, Life has source of Origin and that is our Lord Jesus Christ as it is written in the Bible. If we believe, it is profitable for us, nothing to lose. Though Gospel is free gift but we must remember that Jesus paid the price with His own blood to make us holy forgiving our sins, we feel it or not. You know Stardusty Psyche that there is nothing free in this world, somebody have to pay. You also know that “No pain, no gain”. Jesus paid for our sins, including yours. Why do we not accept Him as our savior and enjoy eternal life? Let us do it! Thanks. It would seem that Islam's interpretation method of using abrogation is required. @Masheed the SCAPE-GOAT in the OT was a living sacrifice. after the priest laid the burden of the people sins on the back of the goat it was released into the wilderness. It was not slaughtered on the spot, it may have been killed later by wild animals, or more likely joined a herd of other goats, after all it is a TAME animal. Was there ever a event in the life of Jesus in which he could be a living "scape-goat" carrying the sins of the people? "I don’t need a Jesus scapegoat. If I did something wrong, then I was wrong. I will do my best to correct the problem...."
Would a person who will never attempt to skydive ever need a parachute? You are truly one confused individual. Why on earth would you even bring up Jesus' sacrifice, if you have blatantly rejected afterlife, is beyond me? "...The universe we observe has precisely the properties we should expect if there is at the bottom, no design, no purpose, no evil and no good. Nothing but blind pitiless indifference. DNA neither knows nor cares. DNA just is, and we dance to its music...."
So you are no better " correcting yourself" than doing nothing at all. After all natural selection of the fittest does require one to deviously propagate ones genes, even if that meant harming others in the process. So what makes your choice of " being good" superior to say that of Hitler's, who chose to massacre six million Jews? He was simply "dancing to the time of his DNA", just as you are to yours, in fact, the process of natural selection favors Hitler over you, because he was acting on "survival of the fittest" to promote the superiority of the German race, whereas you are merely borrowing the " golden rule" theme from religion. I hope you now see how fallacious your claims turn out to be when you add a proper perspective to them. Any attempt to justify morality without a divine law giver simply creates conundrums. Thanks, although there were a few typos in the post as I was using my phone to respond to stardusty. I agree with you that the Dawkin's strain of " militant atheism" is extremely hostile particularly to the juedo-christian faith. Why do atheists keep repeating the nonsense of dawkins, hitchens, harris, krauss verbatim like sheep as if it gospel truth and then add a little bit of arrogance to it? Being an atheist doesnt automatically make you smart or intelligent, but many speak as fools as if they were. “Bible teaches good people who trust in Jesus Christ and works accordingly live with Jesus eternal life without pain but bad people, non-believers live in hell fire with pain. It proves souls which came from God are immortal. Does it not?” No, it only demonstrates somebody made up a story thousands of years ago. “You are wrong in saying that sins are non-transferable. We know from science that sins are transferred genetically.” Sins are genetically transferable? Where did you get that from? Please send me a link. No “sin gene” has been identified. Nor do individual behaviors become encoded into our DNA Our DNA is fixed at conception and does not change until we die. Behavior of the individual during life has no effect on DNA coding of that individual. “Your atheism does not give a complete sense of human life in this world.” Atheism in the strictest sense is simply a lack of belief in a theistic god. Nobody has all the answers. That doesn’t make some particular ancient story true. You are using the argument from ignorance fallacy. Ok, we finally agree on something :-) That was my primary original point in this thread. Stuff cannot be created or destroyed, stuff exists, therefore stuff is eternal. “Jesus paid for our sins, including yours. Why do we not accept Him as our savior and enjoy eternal life? Let us do it! Thanks.” I appreciate the sentiment, I really do. But, unfortunately, the notion that Jesus paid for our sins is incoherent and self-contradictory. @Stardusty,"... Ok, so god did not really die, he just shed some old clothes…no sacrifice whatsoever..."When you die will your spirit cease to exist? For you the answer may be affirmative, because of your rejection of the afterlife, but is it fair for you to pose such a question to people who believe in one? In scripture God never once said that he would cease to exist, rather his servant would be made a sin offering. Please read Isaiah 53 ... The suffering servant. Anyhow your analogy of shedding old clothes is fallacious because as a human, in suffering, your spirit is 100% a part of you and will feel all the emotions and pain that is subjected to your physical being.... No? "There was no intent or negligence on his part. If I set up a hockey goal with a window behind or let my 7 year old play in the street??? WTF???" For heavens sake it was an analogy, as if window panes being shattered by flying game apparatus is now somehow a unique concept, unheard of in either of or life . Reality is kids don't always do as they are told, things break, kids get into trouble, and there are varring degree of consequences, or not.... Stop making it out to be a capital offence. The gist of the analogy was obviously lost on you so let me be direct. What parent would not sacrifice even their own life for their child? so why is it so hard for you to understand that God promises to take care of all those who accept his fatherly love, and he has made provision to rid blame of off his children by placing them on the sinless God-man. Don't like this explanation? Well too bad, that is all there is, I don't know what else you hope to achieve by beating your logically broken drum. You have just proven this verse of scripture true.
" The message of the cross is foolishness to those who are perishing..."
I know how much you love quotes from scripture, but it is not totally inconsistent, being that we are taking about Christianity and scripture should have some say in the matter. So it may seem absurd, incoherent, and nonsensical to you , but perfect sense to those that have accepted God's free gift of grace . "TPaul, you are the quintessentially fallacious Christian...."
Why, simply because Christians reject your ridiculous line of reasoning, and chose to accept Christ's word instead? Your arrogance reflects that of your thought master, Dawkins, who's form of militant atheism is satiated only when he ridicules Christianity without impunity. ".. Oh please, like you have some kind of higher plane of conceptual capacities…give me a break…and you call me arrogant?....." You really do have an issue with analogies, taking them to mean literal scenarios. I certainly didn't have any derogatory meaning in reference to a cobbler, on the contrary, if you wish we can reverse the professions. A software professional may never fully understand what it takes to build or repair comfortable foot ware, until he first learns the trade. No higher conceptual planes, only different ones , and we don't all come with built in know hows. Nice talking with you though. “You are truly one confused individual. Why on earth would you even bring up Jesus' sacrifice, if you have blatantly rejected afterlife, is beyond me?” Do you believe in every doctrine you discuss? Must I first believe in associated doctrines before I can consider the irrationality of a particular doctrine? Why is this beyond your understanding? “As for " correcting the problem", why bother, … Dawkins …. DNA neither knows nor cares. DNA just is...."” Because I am an evolved social animal with an intrinsic sense of empathy and ought as well as culturally ingrained sensibilities. I don’t need a magic man in the sky to tell me right from wrong, nor to threaten me with eternal punishment, nor induce me with a promise of eternal paradise. “So what makes your choice of " being good" superior to say that of Hitler's, …, the process of natural selection favors Hitler over you, because he was acting on "survival of the fittest" to promote the superiority of the German race, …” Indeed, not only Hitler, but the ancient Greeks, the ancient Jews, and cultures throughout history have committed genocide or developed moral codes that consider empathy to be a weakness and the capacity to overpower the basis for what is good and right. I think there are no moral absolutes. No sky daddy to show us the way. No moral lawgiver. We are on our own as individuals, nations, and as a species. I derive my moral codes from my intrinsic sense of empathy and ought, which is an artifact of biological and cultural evolution in a social animal species, Homo sapiens sapiens. “I hope you now see how fallacious your claims turn out to be when you add a proper perspective to them. Any attempt to justify morality without a divine law giver simply creates conundrums.” I don’t try to justify morals in an absolute sense. I don’t need absolute certainty to act. In fact, I cannot think of any actions I have ever taken based on truly absolute certainty. Morals are relative. Even ants, flocking birds, and herding animals display behaviors that appear moral or altruistic, although I doubt an ant contemplates its own sense of ought. Still, all social animals do have internal mechanisms that drive social behavior, which evolved as a net survival or flourishing benefit. In an advanced species those social behavior drivers include an innate sense of empathy and ought. No god required. "....That was my primary original point in this thread. Stuff cannot be created or destroyed, stuff exists, therefore stuff is eternal....."
"..The Big Bang model states that space, time, energy, and matter (STEM) all began at this moment. That is, matter began at this moment. Space began. Time began. Energy began. This is agreed to by non-theists, such as Hawking..."
"...By the way, the reason STEM ( space, time, energy-matter) began to exist is because if you have matter, it must be located somewhere; hence, you must also have space. With matter, you also have energy; hence, often we call it energy-matter (thanks to E = MC squared). And time is nothing more than relations of these...."
I have a life to sacrifice, god does not have the capacity to give his life, since he is immortal by your own doctrine. If I get hung from a cross I will really die, Jesus did not. If my child does something wrong I can never take the blame onto myself, even if I pay for my child’s mistake. Wrongdoing stays with the wrongdoer, even if others help to rectify the damage that was done, the wrong itself is inherently non-transferable. Whether the scapegoat is sinful or sinless is irrelevant to the inherently non-transferable nature of wrongdoing. I understand that the whole Christian story of Easter is self contradictory with the doctrine of divine immortality and incoherent in its assertion of sacrifice and scapegoating. For an argument to be logical it must not be self-contradictory, unless you do not accept the postulate of non-contradiction, in which case logic itself loses meaning. Further, it is asserted that Jesus sacrificed on the cross, yet he is asserted to be divine and immortal, making the assertion of sacrifice incoherent. Further still it is asserted that Jesus took on the sins of humanity at that time, yet wrongdoing is inherently non-transferable making such scapegoating an incoherent assertion. In all the words of all the theologians and commenters none have ever successfully refuted this logical analysis. The Muslims are correct in their rejection of the Easter story on logical grounds. A good source for identifying fallacious Muslim arguments is a Christian apologist. A good source for identifying fallacious Christian arguments is a Muslim apologist. A good source for identifying fallacious religious arguments of all sorts is an atheist. As you said “Atheism in the strictest sense is simply a lack of belief in a theistic god….. You are using the argument from ignorance fallacy.” What about you Stardusty? What story are you hearing us Stardusty, is it anything new? No, it is not. Denial of God started since beginning of human history. Eldest son of 1st family (Adam and Eve) name Cain who also denied God like you and killed his brother Hebbel, 1st murder. This 1st sin is transmitted to today’s mankind by gene. Adam and Eve also denied God; to be independent and smart like you and Richard Dawkins. These are not story, historical facts. God’s love story for mankind started from punishing Adam and Eve and completed by sacrificial death of 2nd Adam Jesus Christ. Jesus’ death is not whimsical or fallacy. It has a starting point and ended with free gift of salvation (Gospel) for mankind, so that no human being lost as you feel “hopelessly lost soul” stated above. The Bible is not a book written by single writers in one time. It is written by 30 writers and about 1,500 year time period. Mistry is its consistency of love story of God towards mankind. This proves its authenticity as words of God. On the contrary, Atheism, itself is a believe, a faith, a religion whose doctrine is to deny existence of super power as Adam and Eve tried by temptation from evil without any scientific proof. So it is not new concept. There is no way of denying God. Find out the question Einstein left behind, who ignited Big Bang that’s caused expansion of Universe today. Then we will follow you, until then Atheist should keep quite. Life comes from life and Jesus is that eternal life from where all life came from. That is the bottom line answer. When science acknowledges the truth you and Richard Dawkins would be out of the world and would miss the opportunity for last minute salvation before last breath. Why should you miss the opportunity to get salvation from God before science acknowledges His existence for creation of all seen and unseen matter? May God bless you my friend! Welcome to "Answering Muslims". I read your comment and those who've responded to you and I have no intention of adding my 10 cents worth. I just wanted to say Hi and I hope you hang around. There are some great minds represented here and some very indepth and healthy debates. I thoroughly enjoyed reading your insightful and intelligent questions and thoughts. I think you would enjoy reading "The Wisdom of Islam and the Foolishness of Christianity" by Dr Richard Schumack. He writes without any reference to biblical authority which means there's no logical fallacies in his argument. You might still disagree with him but at least his argument is based on what is reasonable, not what is written. Anyway, do stay around. It gets pretty interesting at times and I really appreciate reading your point of view. My background is in science, though I just did a History degree, so I love your attention to detail. No, am not using the argument from ignorance fallacy, and I don’t see where you have provided an example of such. Please send me a link for the sin gene. As I explained, DNA is fixed at conception, and individual’s behavior does not alter the DNA of that individual, so sin is not passed by a gene. Where in the world are you getting that one from? For about the gazillionth time, Jesus did not die, there was no sacrifice, and sin is non-transferable. Consistency of love content proves divine authorship? Muslims say something similar, that the Qur’an is so beautifully written it must be the word of Allah. So I guess a Shakespearean play or my favorite Beatles lyrics must be the word of god, since they are so consistently full of love and beautiful words. Atheism is not a faith, it is the lack of faith. It is not a religion, it is the lack of religion. Is an empty cup another kind of wine? Nobody knows what caused the big bang. Speculating god adds no explanatory power. “Why should you miss the opportunity to get salvation from God” Ok, maybe you are correct, I will start praising Allah tonight. I will wave at you from paradise as Allah burns your skin off in hell over and over for all eternity. @Stardusty "...Do you believe in every doctrine you discuss? Must I first believe in associated doctrines before I can consider the irrationality of a particular doctrine?..." Not necessarily, but if I insert myself into a scenario like you did, then I have put the onus on myself to explain.... you said "..I don’t need a Jesus scapegoat...." Like I said before, if you decide never to skydive, why would you even consider mentioning your decision not to wear a parachute? Your rejection of Christ is your prerogative, it's called free will, not surprisingly practiced profusely in Judeo-Christian countries, however, I still fail to see any valid reasoning in your denial, apart from the fact that your logic comes from an obvious bias. If a human spirit suffers along with the human at a time of pain and anguish, but in death, the spirit moves into a different realm of existence, why should that not be the same for the incarnate God-man? The biggest pain that was felt by the Son, the second person of the Trinity was not so much the physical, but separation from the father, with whom He had communion for all eternity. You said "A good source for identifying fallacious Muslim arguments is a Christian apologist. A good source for identifying fallacious religious arguments of all sorts is an atheist...."
Let me quote you here to refute your own self righteous fallacy. "...Oh please, like you have some kind of higher plane of conceptual capacities…give me a break…" Yes indeed give us all a break! ! ! You have made a few fallacious arguments yourself, yet here you put yourself and your "religion" of disbelief on a high horse, above all, as though Atheism has all the answers..... Now that is arrogance. You said "...I derive my moral codes from my intrinsic sense of empathy and ought, which is an artifact of biological and cultural evolution in a social animal species, Homo sapiens sapiens...."
Sure, but did you notice that this "intrinsic sense of empathy and ought" that atheists boast about, seems only to develop in the west, the cradle of Judeo-Christian civilization. Every where else especially in the ever expanding Islamic empire, there is the fear of losing one's head, if ever one thinks outside the Islamic box. Concepts like Free thought, secularism, and multiculturalism seems to flourish only in free societies, founded on Judeo-Christian values... Ever wonder why? Atheism in Europe is creating a spiritual vacuum, like never before, that is rapidly being filled by the spiritual strictures of Islam. Thanks for the comments but I was not going to charge you a whole 10 cents…I was thinking you might see your way clear to putting in at least your 2 cents. …but honestly, reading lengthy Muslim and Christian apologetics pitted against each other is kinda like fingernails on the chalkboard. Idioms and metaphors such as “the pot calling the kettle black” and “the blind leading the blind” come to mind. I got part way through “Mere Christianity” by Lewis. I actually like his prose style very much, but every page was so thick with poor reasoning that I had to put the book down before my face melted off or something. Maybe I have an attention span disorder or something but youtube debates and blog posts are more my sweet spot for length of exposure to any theistic apologetics. Quotes don’t make me wrong. They do, however, highlight the fact that there are no scientific authorities, not Newton, Einstein, Hawking, or any Nobel laureate. Not a single one is a scientific authority. Hawking and others have rather naively applied general relativity in a regime where it is known to break down. That rather short sighted and limited view has largely fallen out of favor and increasingly scientists are thinking in terms of a multiverse. Of course, the multiverse is speculative, not established science, but is has the rational advantage over the god speculation of being a more of the same notion, similar to the way extra solar planets used to be speculative and extra Milky Way galaxies used to be speculative. The simple fact is nobody knows what caused the big bang. Hawking does not have, Krauss does not have, and nobody has any scientific theories of t=0, let alone t=-1. Hawking has never explained how this supposed singularity blew up, as opposed to a black hole that can only slowly radiate away by virtual particle separation at the event horizon. Krause is selling a lot of books with the silly arm waving assertion of something from nothing. As I said, there are no scientific authorities. Science is first and foremost evidence based. Every scientific experiment, reaction, and observation tells us stuff is neither created nor destroyed and it exists. Therefore stuff is eternal. E=mc^2 only reinforces my point because it is, among other things, a restatement of conservation. What fallacious arguments have I made? Can you quote my words and name the supposed fallacy? You are apparently unaware of the great body of human morality that exists elsewhere, in Buddhism most obviously. False dichotomy. The world is not divided into 2 camps, Muslim verses Christian. So, your analysis is that Christians turn into atheists and that is a spiritual vacuum so they convert from atheism to Islam? Where did you get all that from? Islam is growing in Europe because of immigration and birth rates. "Muslims are correct in their rejection of the Easter story on logical grounds". How can you claim their assertion is logical when the start of their narrative to that event is flawed, that Jesus did not Die? 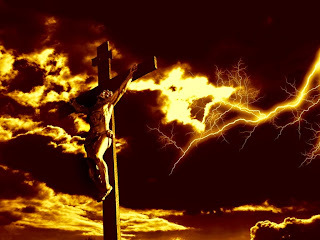 It is a Historical fact that a Person Jesus Christ was crucified & DIED! I notice you've been back & forth recently on this site and Acts 17's main blog. I have to ask, what is your motivation? As an atheist, you feel the need to ping-pong across forums and dispute the need for religion at all. But what are you hoping to gain from it? Hey my friend, indeed great discussion everyone is having with you. I would like to bring your attention to the interesting comment you made. “that is the general thrust of my view. Humans have no absolute worth. We each feel a sense of worth, which is an artifact of our evolved physiology. Now I will again assume - because you believe in the principle you mentioned above, you know and understand it well and trust in it and if needed, you can explain it well as well. Now based upon this since there is no absolute worth of humans. Let me ask you few questions. 1. Do you think if your comments/questions have any worth? If not then why ask them. 2. You sensing that “I meant well”, does that “sense” have any worth? If not then why sense that or anything else. 3. Or that “well” (I was sharing my experience) was of any worth. Moreover I was trying to tell you about God, why did you sensed it as “well”. There will be so many questions like this, which will bring you back to only one base – "Why do you need to do this, when there is no value." In olden days people used to tie the bull and make him rotate around a machine and they used that combination to squeeze out the oil from the seeds. Now the bull even though walked for hours and hours every day but still was never been able to go anywhere. Why – (I know it’s simple) because he was tied. Why I am telling you this, because you are working very hard to understand/ use words, logics/ rationality but not able to go beyond a point, because you are tied to your “worthless humans/ chaotic interaction” view. Let me ask you a question and you don’t need to answer this to me or in this forum but just to yourself. I don’t believe in God, because Easter story does not make sense to me, or Christmas does not seems rational to me or none of the world view make sense to me as no one could explain it to me rationally or I just don’t believe in him because of a worthless point of view which happened to came in existence because of some chaotic interaction. If not today but later, may be in years if you find a different answer, then I would request you to try God. He loves, he knows our value and he also sacrifices. After reading your comments for defending your faith/religion (Atheism), I understand your difficulties believing Jesus Christ as savior for the following: Please correct me if I misunderstood you. 1) You find it difficult believing Jesus, incarnated God as the Bible said, could die for the sins of other. 2) Sin is non-transferable, so Jesus can’t take sins of the world. You reasoned for 1st that God is immortal so He can’t die, so it is myth and for 2nd because sin is non-transferable, Jesus’ suffering and Resurrection man made story. FYI sin is a human character detestable to God and is transmitted thru gene. Please read Genetics, you will find answer. Well, you (Atheists) acknowledged that you can’t proof scientifically non-existence of God, so your belief is also matter of faith, assumptions and that is why it is also a religion. Don’t you agree with me? You agree with me that all truths about life and this Universe are like sands of seashore as Newton described. So it is beyond human understanding how God incarnated without natural birth, died and within three days formed non-perishable earthly body, resurrected, appeared to 500 people including His disciples and finally ascended into heaven in presence of many. Eye witness account is our scientific proofs for His deity to believe Him. But you Atheists and Muslims don’t have any scientific proof for your believe. I would compare you with Muslims if you do not believe eye witness account of Jesus. Muslims still don’t believe that the earth is round and men left their foot prints on the moon surface. The moon is worshiped by Muslims and you glorify your faith not believing existing of God without scientific proof. There is no difference between Atheists and Muslims. Both are fraud, manipulated man made religion and it is easy to switch from Atheists to Islam as you said. Evaluation process, Eco factors, scientific laws, all these are actually God’s technical tools to present this beautiful life and this Universe in present form. Remember the Bible is written in simplified way so that people of all walks of life could understand without having knowledge of “Rocket Science”. God in one point said His creation was beautiful (Genesis 1:31), as Astronauts said seeing beautiful earth from space. Newton understood God’s awe some knowledge and passed his life as a devote Christian. You should have command on the Bible to discard it as a fallacy. But I don’t think you finish the complete Bible for knowledge as you read other books. There is an old saying “A little learning is a dangerous thing”. Atheists have this attitude. God is Truth and Spirit and Science is also truth. There is no clash between God and science. God used science to form earth from void. Read Genesis you will know the truth and you will be free from any confusion. May God bless you to open your inner eyes to see His glory! "It is a Historical fact that a Person Jesus Christ was crucified & DIED! " An immortal and omnipotent god lives for all eternity, takes on a body, then sheds the body. How is that a death in any sacrificial sense? Jesus was just playacting for dramatic effect for a brief moment in his eternal existence, by the the christian doctrine of trinity, immortality, and omnipotence. Jesus did not die any more than I die when I throw away an old coat. "I have to ask, what is your motivation?" MuslimMatters, they block more than half my stuff. BareNakedIslam, they don't post anything I write pro Obama, pro individual Muslim, or against Pamela Geller. Badmanna, Sam got on once to attack me, maybe because he blocked all my posts on his own little house organ site. Acts17, gotta give David Wood props for posting all my words, though he has no rejoinder for my decisive response to his challenge. Infita7, very nice people, they won't publish my articles but they at least have the fairness to publish my critiques. Just as the unexamined life is not worth living, the untested analysis is not worth holding. My comments have worth to me. I don't need them to have some kind of absolute meaning. The ultimate fate of the universe does not bend to my feelings of worth, and that simply does not bother me or alter my personal feelings of worth. "I was trying to tell you about God, why did you sensed it as “well”." Because I am not a sociopath. I have empathy. My words mean much to me and I can sense much in the words of others. Atheists of good will graciously accept the prayers and god blessings of theists as sincere acts of individual human good intention, even if we think the foundational precepts of theism are false.
" try God. He loves, he knows our value and he also sacrifices." Sorry Serving Lord, I realize you are attempting to give me an insight you consider to be supremely positive, but your assertion is incoherent. An omnipotent being cannot sacrifice, all things are equally effortless to him by virtue of his infinite powers. "After reading your comments for defending your faith/religion (Atheism), I understand your difficulties believing Jesus Christ as savior for the following: Please correct me if I misunderstood you." "you can’t proof scientifically non-existence of God, so your belief is also matter of faith, assumptions and that is why it is also a religion. Don’t you agree with me?" I don't assume, I provisionally postulate. All science and scientific thinking is provisional. Show me evidence to the contrary and I will change. Assertion of the inability to prove the negative is a fallacy called the argument from ignorance. This in no way demonstrates atheism as a faith or a religion. Atheism is the absence of religion. The absence of X is not another form or X. "Eye witness account is our scientific proofs for His deity to believe Him"
2000 year old stories about supposed eye witnesses have no scientific evidential value. "There is no difference between Atheists and Muslims." That is a preposterous statement. Just accidentally glanced at one of Stardusty Psyche's comments while clicking "approve" and noticed that s/he has been talking trash about me not being able to respond. Odd, since I haven't read ANY of his/her comments. But since Stardusty is is resorting to bragging and insults, BLOCKED until s/he learns some manners. Yeah, that is ridiculous, you're a busy man and have maybe THOUSANDS of threads to keep up with on this blog alone. It's arrogant for Stardusty to demand a response from you. Besides, they've been getting responses from plenty of others. In response to Stardusty, who will no doubt see this even if unable to respond: I suppose I can appreciate the motivation to spark critical thinking and to get people to examine what they believe critically. For my part, I believe what someone else said about not aiming to convert one's opponent, but their audience instead, so I hope that even if no one in the conversation budges, others who weren't part of it will read it and be more enlightened because of it. Science is first & foremost evidence-based You may be loathe to admit it, but you're taking science on faith just as much as we're taking God on faith. The simple reason is that even if you have a few doctorates in a couple different fields, the reality is that you can't have doctorates in all of them, so by default there are fields you don't specialize in and which you are forced to take by faith. By your logic, you should reject those fields because you yourself can't verify that what they are saying is true; you just have to believe the scientists in those fields when they say they're presenting the truth. You yourself can't verify the evidence they claim to present because you lack the expertise necessary to verify all of it; even if you have several degrees and can assess some of it there will always be a remainder that you cannot verify because you do not specialize in the required fields. I have found many people especially muslims.. when they dont get a respond from Dr Wood, they start throwing barbs that he has "lost the arguments"..... these people are inconsiderate with a strong element of self-righteousness! They think that Dr Wood just lives for them! Hey "Stardusty Psyche", as Dr Wood has done many times over set up a formal debate with a topic, instead of making wild sweeping factual-less arguments with constant shifting of the "goal-post"! "An immortal and omnipotent god lives for all eternity, takes on a body, then sheds the body. How is that a death in any sacrificial sense?" "Jesus the Christ came into this world as Man.. man dies... and in the Christian Faith after the physical death, they will move on into eternal life.. either with the Father, Son and The Holy Spirit or with the father of lies, satan"
Now,why do you have to convolute and digress from a simple narrative? You tried to say, the muslim narrative is logical, on what level? On a historical standpoint their view is totally wrong to say Jesus did not die! You dont believe in the "supernatural" and yet you want to tell us the muslim narrative makes sense...... ?????? The Bible is consistent, in what needs to be done to get us out of eternal damnation. It is unfortunate that you have been blocked of this site, however I hope you can at least read my refutation to your response. You said "...What fallacious arguments have I made? Can you quote my words and name the supposed fallacy?.." The fallacy of a false attribution occurs when an advocate appeals to an irrelevant, unqualified, unidentified, biased or fabricated source in support of an argument. a) Your Quote "...Christianity is incoherent because an immortal god cannot die...."
Answer:- Nowhere in the Bible is the claim ever made that God will die, or that he did.. You are thoroughly confused either because of your biased or you are relying on a faulty source. In any case Christianity never once claims that God died, but rather the incarnate man Jesus did, after suffering an excruciatingly painful crucifixion on the cross, as prophesized. Isaiah 53:10 "..Yet it pleased the Lord to bruise him; he hath put him to grief: when thou shalt make his soul an offering for sin..."
Answer:- Here is another argument of false attribution, where you appeal to fabrication to build your assertions. Luke 1:31 "And behold, thou shalt conceive in thy womb and bring forth a Son, and shalt call His name Jesus." Inconsistent comparison is where different methods of comparison are used, leaving one with a false impression of the whole comparison. Answer:- I am surprised you would use such a faulty argument to prove your point. Relying on Islam, for any possible truth is disastrous. Did you know that Islam not only rejects the historically attested, death of Jesus, it also adheres to a replacement theory of the event. Jesus was bodily lifted up to heaven and another "scapegoat" was crucified in his place. So by saying Muslims are correct, are not being hypocritical by rejecting one "scapegoating" event and accepting the other? Reification (also known as concretism, hypostatization, or the fallacy of misplaced concreteness) is a fallacy of ambiguity, when an abstraction (abstract belief or hypothetical construct) is treated as if it were a concrete, real event, or physical entity. In other words, it is the error of treating something which is not concrete, such as an idea, as a concrete thing . A common case of reification is the confusion of a model with reality. Your Quote: "...What kind of parent are you? I mean really, I must question your parental decency here. No, I would not expect my child to feel remorseful or suffer consequences in that situation. There was no intent or negligence on his part. If I set up a hockey goal with a window behind or let my 7 year old play in the street??? WTF???..." Answer:- For heaven’s sake it was an analogy, as if window panes being shattered by flying game apparatus is now somehow a unique concept, unheard of in either of or life . Reality is kids don't always do as they are told, things break, kids get into trouble, and there are varying degree of consequences, or not.... Stop making it out to be a capital offence. An ad hominem (Latin for "to the man" or "to the person"), short for argumentum ad hominem, means responding to arguments by attacking a person's character, rather than to the content of their arguments. Your Quote "...TPaul, you are the quintessentially fallacious Christian..."
Answer:- A better response would have been " you are being fallacious "
You Quote "...An omnipotent being cannot sacrifice, all things are equally effortless to him by virtue of his infinite powers...."
Answer:- In his sarcasm, Stardusty contradictorily answers his own dilemma. Quote "...I think it would be a bit pretentious or presumptuous to “correct” you or call your perception “wrong” in something concerning the supposed experiences of the vaunted almighty. I mean, what mere mortal may presume to know the mind of god [sic]?..." Exactly Stardusky.... What mere mortal may presume to know the mind of God? This is God's revealed way of forgiving sins of humankind, in order for us to become pure in his presence. Just keep doing your good works and I pray the Lord Jesus help them understands him.